Tong Eann Shutters Co., Ltd.
Tubular Motor (AC/DC), Clutch Tubular Motor (AC), and Roller Door Motor (Side Motor). 1. 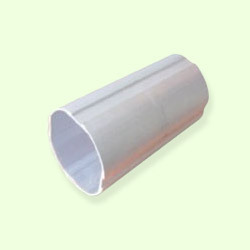 Ø65 octagonal aluminum tube was designed for TESC 45mm tubular motor. 2. It was operate with octagonal drive adapter. 3. Tubular motor have to insert into aluminum tube, then it work. 4. Length of tube will depends on width of your window. 5. Measuring dimension of your windows before you start to install tubular motor. 6. Round tube was also available. 1. Outer diameter of tube: 65 mm. 2. Inter diameter of tube: 58 mm.